Earlier this week, Britain's Secretary of State for International Trade Liam Fox said the reason Indian students were excluded from a list of countries offered easier visa norms was due to the unresolved issue of Indian "overstayers". India today questioned the UK linking its exclusion of Indian students from a list of countries offered easier visa norms to New Delhi's refusal to sign a memorandum of understanding (MoU) on the return of illegal migrants. Earlier this week, Britain's Secretary of State for International Trade Liam Fox said the reason India had been excluded from a newly-expanded list of countries from where overseas students can benefit from a more streamlined UK university application process was because the unresolved issue of Indian "overstayers". "Indian students have not been included in the liberalised Tier 4 (student) visas. Now, we could say that's linked to an MoU not being signed on illegal returns but I want to tell everyone that our cooperation with the UK on this subject is very robust," said Y K Sinha, Indian High Commissioner to the UK, questioning this link between freer mobility of students and professionals with the UK government's claim that there are nearly 100,000 illegal migrants from India currently in the UK. "I am sure there are many (visa overstayers) but where did this figure 100,000 come from," he questioned, pointing to the UK Home Office's own analysis from 2016/2017 indicating that 337,180 visas were issued to Indians of which 97 per cent of them went back to India. "In fact last year, if I have the statistics right, a large number of people who were actually sent back who were overstayers who were illegals," he said. "Obviously once they (overstayers) are established to be Indians, they will be taken back. We have made that abundantly clear. But what is important is that we need to move away from this debate," he said at the ongoing of a two-day UK-India Leadership Conclave at Latimer in Buckinghamshire, near London. Stressing that it is important not to focus too much on the issue of visas and immigration, he added: "This is an important aspect but it's certainly not the only defining point in our relationship. "When we talk about freer movement of people, we are not talking about unrestricted movement of people... Let's be practical about this. Who are the inheritors of this relationship. This legacy? It's the youth and unless we can involve the youth in this relationship I'm afraid we won't be able to have that sort of vested interest in the next generation in this relationship." 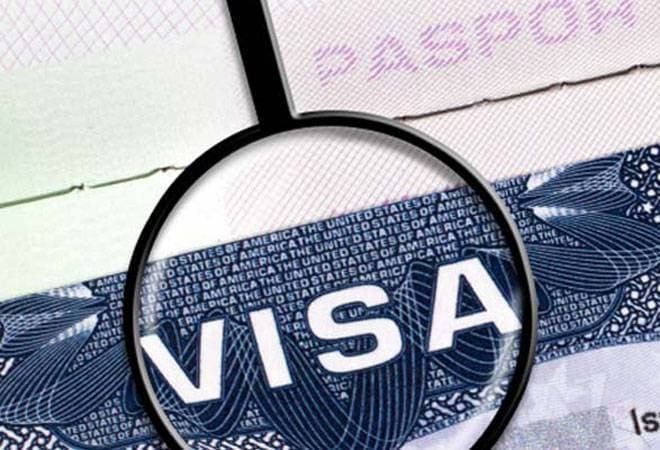 Easier student visa norms remain part of ongoing discussions with the Indian government over taking back its illegal migrants. At the heart lies a controversial MoU on returns, which remains pending between the two countries due to concerns in India over the timelines available to check a migrant's antecedents, according to senior Indian officials. The Indian Cabinet had approved the so-called MoU on returns to facilitate the deportation of alleged illegal Indian immigrants in the UK to India and vice-versa days before Prime Minister Narendra Modi's visit to Britain to attend the Commonwealth Heads of Government Meeting (CHOGM) in mid-April. The agreement was touted as the centrepiece of the nearly 25 MoUs to be signed between the two countries during the Indian PM's UK visit. The UK government has sought to dissociate the issue of student visas from the MoU on returns. A British High Commission spokesperson said: "Indian students will experience no change as a result of this announcement there is no limit on the number of genuine Indian students who can come to study in the UK, and the fact that last year saw a 30 per cent increase in Tier 4 visas issued to Indian students is proof that the current system allows for strong growth in this area." "This (Tier 4 changes) was a routine review of the Appendix H list conducted by the Home Office which is regularly updated due to the fact that countries' risk profiles change over time. Analysis of objective data has shown that India remains below the level required to consider a change at the current time."